Our staff are all knowledgeable and experienced, and can help you select glasses that function properly while enhancing your coloring, facial shape, style, and personality. Each patient will receive individual treatment that best fits their lifestyle. We apprecieate the opportunity to work with each patient and be assured; we will always offer the very best. This is all in an effort so you see the best you can. The OPTICAL SHOP, a full-service eye-care provider, conveniently located in Sneed Eye Associates, offers a full line of eyewear products, including designer lines. 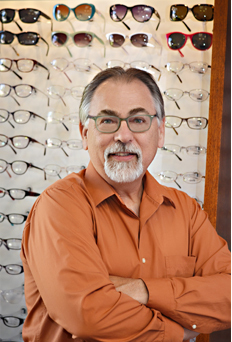 Our friendly highly qualified and experienced staff can assist you in selecting the style and type of lenses and frames to fit your budget and taste. Adjustments are always free.